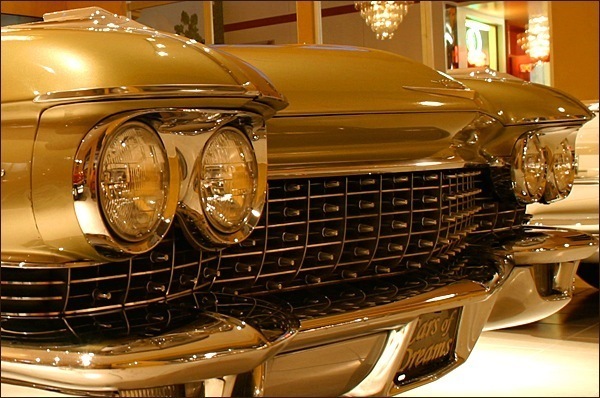 The Eldorado was a Cadillac classic for almost 59 years and is the longest running American luxury automobile. The name Eldorado is a reference to a South American city filled with gold. 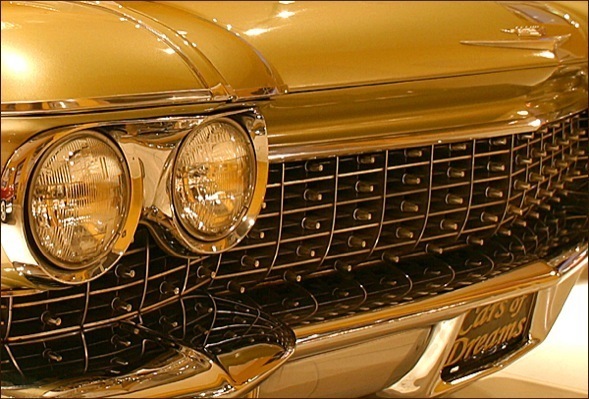 The original Cadillac Eldorado was built for a car show and was to mark the anniversary of Cadillac Automobiles. 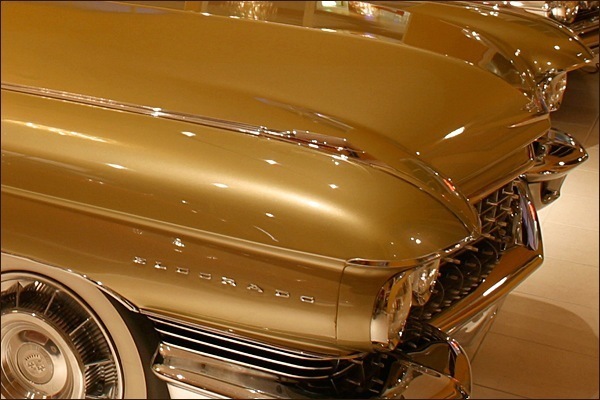 The first time the Eldorado name was used it was for a limited edition convertible in1953, there were only 532 units made. 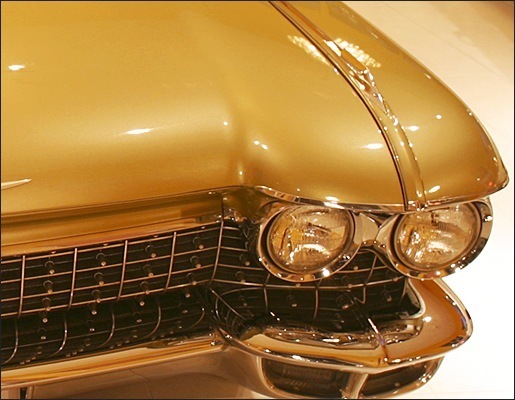 The Eldorado was always among the most expensive and luxurious of the Cadillac vehicles. Cadillac first used the name SeVille in 1956. It was a hardtop version of the Cadillac Eldorado Convertible. 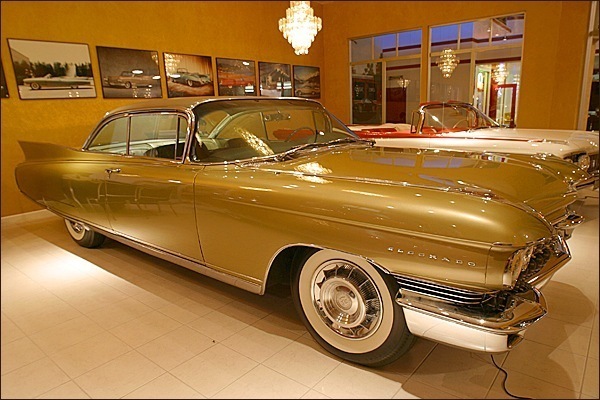 The convertible was dubbed the Eldorado Biarritz and the hardtop was the Eldorado SeVille. 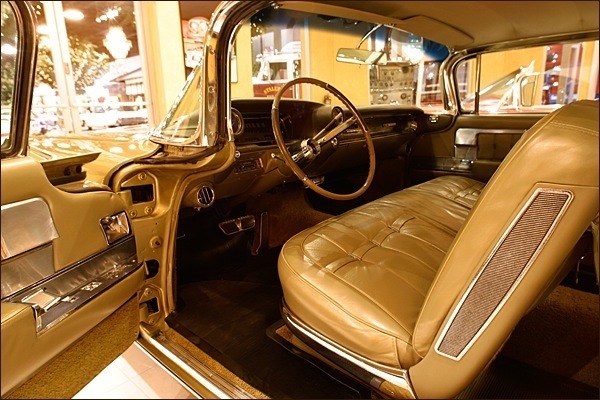 As the years inched toward the start of the 1960’s, the designs of the Eldorado became very body and unique. Tail fins, known as shark fins, could be found at the rear of the vehicle. The engines were improved and the vehicle was given minor facelifts to coincide with the outrageous fins. Chrysler may have introduced the tail fins in1957 but it was Cadillac that out-did every other vehicle on the road. 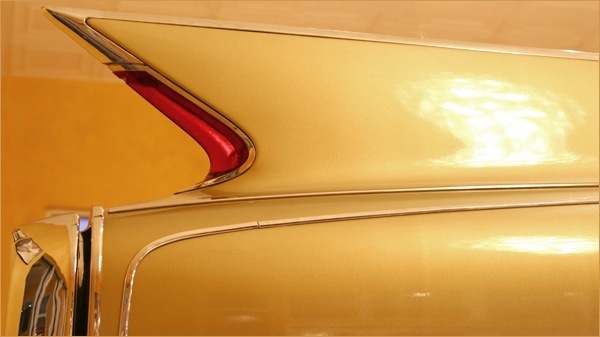 In 1959 every vehicle produced by Cadillac had the fins with built-in taillights. When the lights were lit, the vehicles resembled rockets. The Eldorado’s continued this extravagance with lots of chrome. 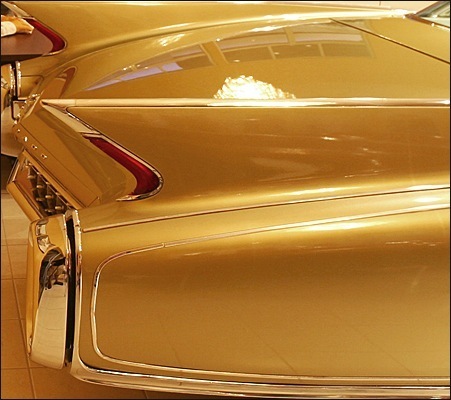 Cadillac tempered its outlandish fins for 1960, the year that marked the division’s last use of triple two-barrel carburation as standard Eldorado issue. For the remaining six years of its production life the rear-drive Eldorado would have the same engine specs as its less exotic line mates. Air suspension was also abandoned after 1960. So was the Eldorado hardtop. With lower sales than the Biarritz for the second year in a row and with two other hardtop coupes in the Cadillac line, the Seville had by now become superfluous. So too had the Brougham, and Cadillac rang down the curtain on its super-luxury flagship after building only 200 of the 1959-60 models. More exclusive — and more expensive — were the two-door Eldorados:Seville coupe and Biarritz convertible. They came with a345-horsepower version of the 390-cid V-8 that guzzled gas through three two-barrel carburetors. The Eldorados lost some of their exclusivity in 1959 because they no longer sported unique rear end designs and they switched from the “Sabre Spoke” wheels of 1958 to stamped steel wheels. Nonetheless, Eldorados sported deep-dish wheel covers (sharing them with the Sixty Special) and fender skirts were standard, as they were for all 1959-60 Cadillacs. Air suspension was another standard item (it disappeared after 1960 because of chronic leakage problems). Also included were cruise control, Autronic Eye headlight dimmer, radio and electric antenna, power door locks, fog lamps, and three rows of jewels in the rear grill. Distinguishing characteristics of the Seville were a color-keyed roof covering of weather resistant fabric and unique chrome trim that started at the vent window and followed the body contour to the rear bumper, then proceeded down and around, following the rocker panel to the front wheel. 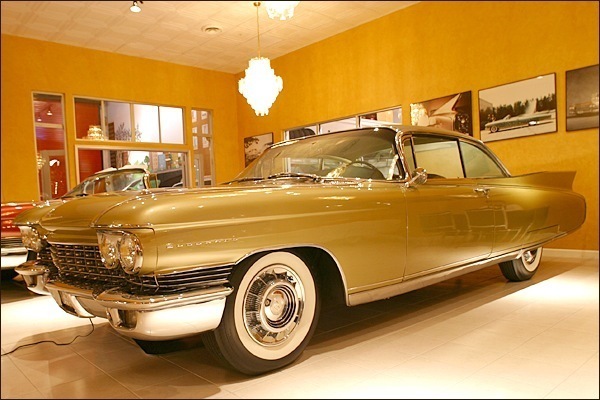 The Seville was dropped after 1960, although the name would be reincarnated 15 years later on a smaller Cadillac. The Biarritz sold for the same $7401 list price as the Seville. Its top was hidden by a metal cover when down, giving the car a smooth,uninterrupted profile that flowed from front to rear, ending in a dramatic upsweep of the towering fins. External variations on the Seville two-door hardtop and Biarritz convertible coupe took the form of bright body sill highlights that extended across the lower edge of fender skirts and Endorado lettering on the sides of front fenders just behind the headlamps. Standard equipment included: power brakes, power steering, automatic transmission, dual backup lamps, windshield washers and dual Speed wipers, wheel discs, outside rear view mirror, oil filter, heater,fog lamps, Eldorado engine, remote control trunk lock, radio with antenna and rear speaker, power vent windows, Six-Way power seat, air suspension, electric door locks, license frames, five whitewall tires. A textured vinyl fabric top was offered on the Eldorado Seville and interior trim choice included cloth and leather combinations. The Brougham continued as an Italian-bodied four-door hardtop with special Brougham nameplates above the grille. 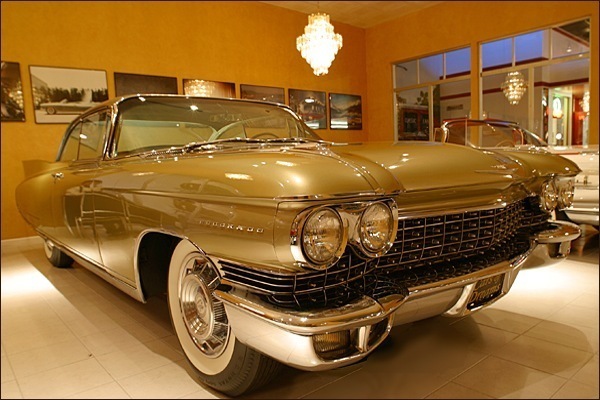 It did not sport Eldorado front fender letters or body sill highlights, but had a distinctive squared-off roof line with rear ventipanes — a prediction of 1961 styling motifs for the entire Cadillac line. A fin-like crease, or “skeg,” ran from behind the front wheel opening to the rear of the car on the extreme lower body sides and there were special vertical crest medallions on the trailing edge of rear fenders. Cruise Control, a Guide-Matic headlight dimmer, air conditioning and E-Z-Eye glass were regular equipment. 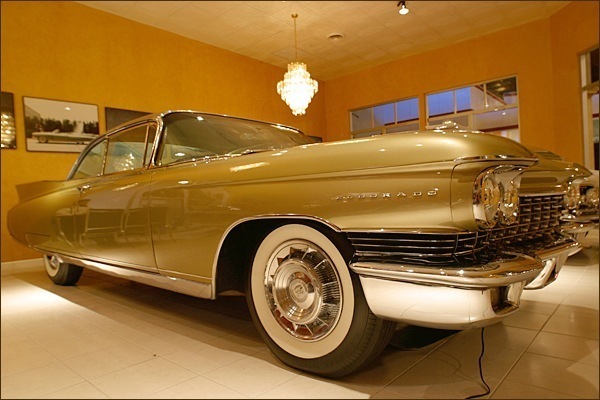 The last Eldorado was seen in 1960 and was known as the Eldorado Seville. 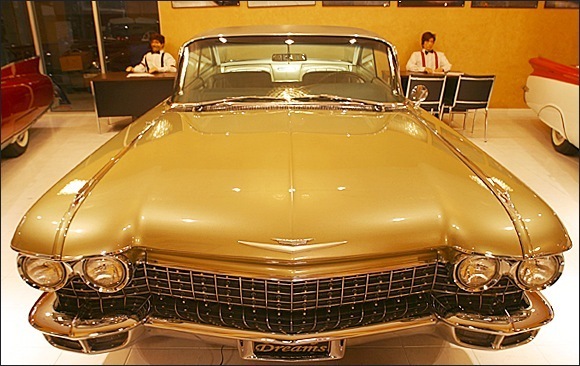 After 1960 the Eldorado convertible was simply a trim level of the basic Cadillac convertible. 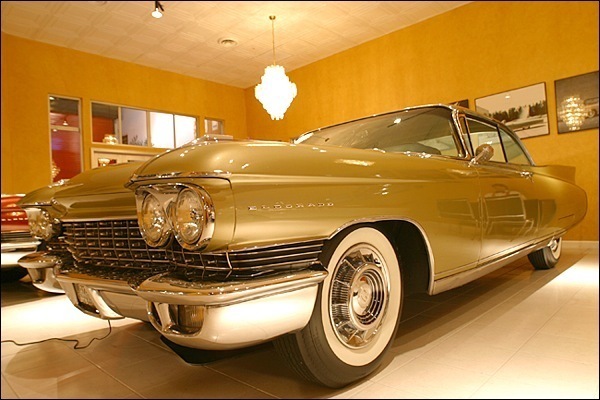 Although the Eldorado convertible was seen in the Cadillac lineup through the 1966 model year, its differences were not all that discernable from other trim lines. An Eldorado convertible would remain in the Cadillac line through 1966, but its differences from the rest of the line were generally modest. In 1964, probably the most distinctive year during this period, the main visual cue indicating an Eldorado was simply the lack of fender skirts.